Home » UM claims inclusion and progressiveness, so where is our women’s center? I recently had to read President Julio Frenk’s article, “Why We Need a ‘Scholarship of Belonging’” as a class assignment. 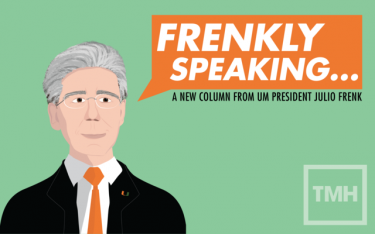 In the article, President Frenk writes that in order to sustain such a culture, “we [students]need to feel as if we are seen, that we matter, that we count.” To a student who has spent three years trying to make change at the University of Miami, these words are an almost cruel reminder that the most blatant and unapologetic hypocrisy is alive and well at the University of Miami. I have never felt less seen and heard than two years ago when a male dean told me that he “did not know we had an issue with sexual assault on this campus.” He claimed that his ignorance was a result of his limited time at UM and went on to recite his administrative accomplishments at various other universities. Even in these positions, he clearly had not learned what women students and faculty are forced to acknowledge everyday: sexual assault is a problem everywhere in America. I have never felt less seen and heard than over the three years I’ve spent at UM, during which I have repeatedly asked professors and administrators about the development of a women’s center. I was told the project was in the works more than two years ago, but still nobody has a concrete response or plan of action. Traditionally, women’s centers help students retain funding for feminist-oriented programming and act as a place for women to discuss issues with the administration. They also provide a physical space for like-minded people to come together and discuss national issues that affect women (click here and here to learn more). Nearly 500 campuses, including FIorida International University, have physical spaces for these purposes. 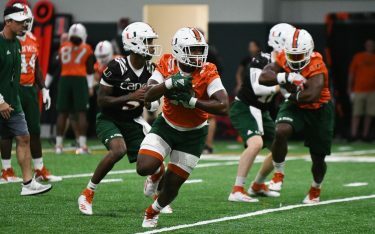 Why wouldn’t the University of Miami want to follow suit? Because I’ve only ever received ambiguous non-answers, I am left to guess. Does the school think sexism and systemic oppression of women are things of the past? Is it because a women’s center does not generate buzzwords that the administration can brag about in its admissions brochures? We have an office of Multicultural Student Affairs and an LGBTQ Student Center. 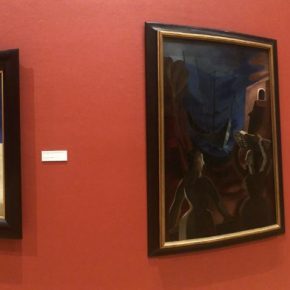 What is the administration and the board of trustees saying about women’s past and present experiences if they aren’t willing to give all students who identify as women the same recognition, in the form of a space and funding, that they give other students who face institutionalized oppression? Are they saying women do not deserve a space to talk about gender inequity, intersectionality and discrimination? That women do not need such a space? It certainly seems like they are saying both. As a woman on this campus, and simply as a woman living in the 21st century, this conclusion is extremely disappointing and confusing. We are women who live in a time that requires a #metoo movement to finally acknowledge hundreds of years of unspoken sexual abuse, harassment and assault. We are women who live in a time when a male dean at a major “inclusive” university still feels emboldened to say “I did not know we had an issue with sexual assault on this campus,” even after more than 300 UM students showed their support for conversations about sexual assault during the K[NO]W More’s shirt distribution of fall of 2017. We are women who live in a time when so many of us are afraid to walk outside at night, go to a fraternity bathroom alone or tell men to stop catcalling us and risk violent retaliation. 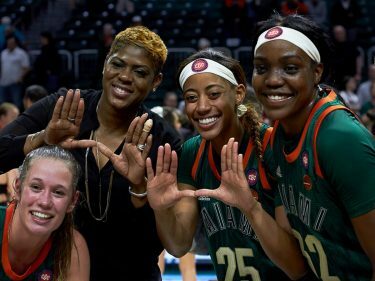 So, I say this to the University of Miami administration: do better. It’s not your fault that you may, like many other schools, fear being branded a school with a “sexism” or “sexual assault” problem. That is a larger societal issue, one that stems from American culture’s unwillingness to admit that sexism touches every institution in our society. All schools have a “sexism” and “sexual assault” problem. This should not be a point of shame that we try to hide or ignore. This should simply be an accepted reality that we are striving to change. To the board of trustees and influential alumni, we know you have power here. It is time to abandon the fear of admitting flaws. We should accept that we have a problem and work towards fixing the issue rather than allowing it to fester in the name of preserving the university’s reputation. Speak up for women students, faculty and staff members, and build us a women’s center. We need it. 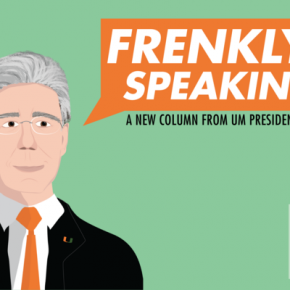 To President Frenk I say, if you didn’t know that we desperately need a women’s center, now you know. If you didn’t know professors, faculty, students and department heads have been exhaustively fighting for this center for years, now you know. You’re right— to thrive at UM, students do “need to feel as if we are seen, that we matter, that we count.” But many women at this school do not currently feel seen. You can help change this. Please commit to a women’s center and commit to your women students and faculty. We are here to stay. We are worth it. In the name of the inclusiveness that this school so boldly claims to achieve, we really have no other choice but to support equality and establish a women’s center. Madison Xilas is a senior majoring in English literature and women’s and gender studies. She’s also the co-founder of K[NO]W MORE UM.